Life is hard, we know. It seems like there’s always something – no matter how small – ready to mess up our day. Luckily, that’s where these simple life hacks come in. Problem: You have a dozen keys on your keychain and can’t tell them apart. Paint the top of each key a different colour to make it easier to work out which key goes where. Problem: You’re pretty sure the bottom of your keyboard now contains a small bakery. The crumbs from your morning Tesco croissant have got to go somewhere, right? Yep, fight office equipment with office equipment. Use the sticky strip on a post-it note to get down into the cracks of your keyboard. Crumbs, skin flakes and all kinds of ‘nope’ will be removed with ease. Problem: You have two dishes to cook at once; only one fits in the microwave at a time because the tops of the bowls are too wide. Place one bowl in the microwave as usual, and elevate the second bowl on a coffee cup to make more room. Problem: You have too many bags of shopping to carry with one hand. 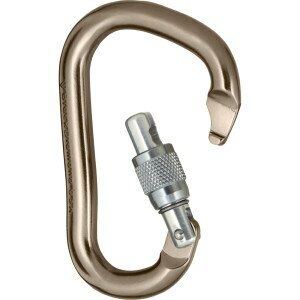 Open a girthy carabiner and slide the handles of your shopping bags onto it. Now carrying all that shopping home doesn’t have to hurt your hands! This is definitely one of those simple life hacks that will come in handy on a regular basis. Problem: When you take the rubbish out, juices leak from the bag, leaving a trail all the way through your home. Line the bottom of your kitchen rubbish bag with newspapers before use. The papers will absorb juices so they don’t pour out the bottom of your bag! Problem: Every compartment in your car is stuffed with things that need to be thrown away. Why is there never a bin when you need one? Solution: A cereal plastic container. Use a cereal plastic container lined with a carrier bag or bin bag as a compact rubbish bin for your vehicle. Now your garbage is hidden away in one place until you can chuck it away all in one go. Problem: Your car door is dented and scratched from being banged into the wall of the garage when opened. Mount pool noodles to your garage wall to protect your vehicle and your wall. Morally opposed to nicking one from a kid’s pool? Pick a cheap one up online. Like these simple life hacks? Why not try some of RiseFeed’s other useful articles including Travel Hacking: How To Go On Holiday For Free – Part 1 and How Will You Do Against This Difficult UK Geography Quiz?